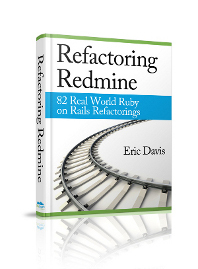 Jean-Philippe has released Redmine 1.1.0 to Rubyforge on January 9th. Unlike the 1.0.0 release, I don't think 1.1.0 is a release candidate (RC) release. So that means it is ready for everyone to upgrade. The next major version of Redmine will be 1.2.0 which is scheduled for 2011-04-30. Jean-Philippe has released Redmine 1.0.5 to Rubyforge this morning. This is a security and bugfix release for Redmine 1.0. My own recommendation is to upgrade as soon as possible due to the security bugs. Jean-Philippe has released Redmine 1.0.4 to Rubyforge. This is a bugfix release for all Redmine 1.0 users. 15 defects have been fixed since Redmine 1.0.3 and 7 translations have been updated. Redmine 1.0.3 has been released to Rubyforge. This a bugfix release for all Redmine 1.0 users. 35 changes have been added since Redmine 1.0.2 so this this should be a very stable release. Upgrading is recommended for all 0.9.x and 1.0.0 users. The upgrade documentation will help you perform the upgrade. If anything goes wrong or you need help, feel free to post in the forums or IRC channel. Upgrade Note: 1.0.3 includes some updates for both the Redmine.pm and reposman.rb scripts. If you are using these for the Advanced Subversion Integration, make sure to update them at the same time. Redmine 1.0.2 has been released to Rubyforge. This a bugfix release for all Redmine 1.0 users. Over 53 changes have been added since Redmine 1.0.1 so this should be a very stable release. Upgrading is recommended for all 0.9.x and 1.0.0 users. I've just launched the web archive of Redmine tips. The tips from the previous weeks are posted already and I'll be adding new ones after they are sent to the mailing list. If you want to make sure you get every tip right when it comes out, make sure to signup for the list on redminetips.com. Redmine 1.0.1 has been released to Rubyforge. This is the first non release candidate for the 1.0 version of Redmine. With over 57 changes since Redmine 1.0, this should be a very stable release. Upgrading is recommended for all 0.9.x and 1.0.0 users. As I work with my clients and their Redmine systems, I've been discovering little tricks and services they use to make Redmine better for them. 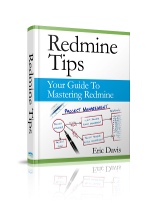 I want to share these ideas, so I'm going to be launching the Redmine Tips mailing list soon. It will have short tips anyone can use to make Redmine easier to work with, as well as services we've found to save time and money. To subscribe, just signup for the Little Stream Software mailing list and choose the Redmine Tips. 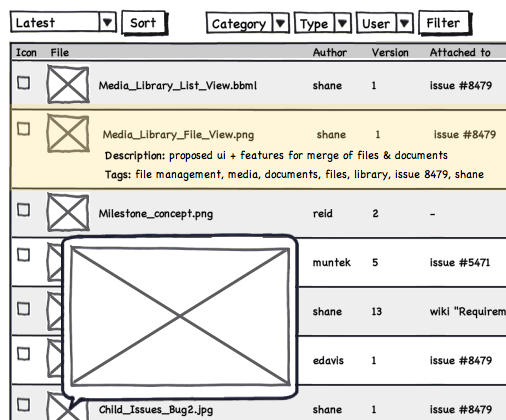 Shane Pearlman from the Redmine UX team has created some wireframes for his proposed changes to Redmine's File and Document modules. The Redmine teams are thinking about merging the two modules together into a single Media Library module. The UX team is still looking for more feedback on the designs. If you are a heavy user of these modules or want to help contribute to Redmine's direction, please reply on the forum thread. I think this adds a great feature to Redmine's Repository module, especially for open source and public projects. I'd like to see this added to Redmine.org.